After some difficulties in the past few months to sit down at a stretch I am mailing you today. a new edition of FOOTNOTES. Speaking here and meeting medical needs there distracted me. We had lovely times with students and visitors. Had you seen our garden this summer with red and black currents on fast growing bushes, the rhubarb and squash, the beans and celery, but also the weeds and wild shoots, frost-killed plums, birds and slugs attacking lettuce, you would have had a fitting illustration of life. There was effort in laying out the land, plowing, planting and resisting the decline to wilderness, but all the effort showed fruit and beauty only until bad weather broke up the harvest. But now I am ready. I enjoy staying in touch with you in this way as well as by the long letter soon to follow, which shall describe what we have seen, thought about and read. Previous issues of FOOTNOTES as well as the chapter The Islamization of Christianity in my book The Market-Driven Church (Crossway, Wheaton, 2004) address many of the questions, which important events raise in our minds about God’s relation to history. I suggest that between the extremes of the absent God of Deism and the manipulating (‘handling’ from manus=Latin for ‘hand’) divine puppeteer of Islam or extreme Calvinism the Bible speaks of a continuing battle of God against evil by his word and by miraculous interventions. God himself, the prophets and apostles, the Son of God and now the Holy Spirit in us all stand against the decline that sin brought about and the works of the evil one, who seeks whom he may devour. Only at the return of Christ and in his kingdom will righteousness reign. Until then we pray and work, that His will be done on earth. There it is not yet being done at all in the way in which it is being done in heaven already. The passionate stand of Christ against the devil, against illness and against flawed reasoning of the Pharisees serves as illustration for our life. For that purpose God has spoken, in word and deed and in his Son, so that we would not be tempted to see all historic events as revelation of the will of God. What happens in our lives is not always the will of God. All events need to be judged in light of what God has said. Of that the Holy Spirit will remind us. He will explain things. He will comfort us in the midst of so many untidy and adverse events. In that context it fascinates how easily people will demand an explanation of God’s work behind Hurricane Katrina. One wonders of course, one cries out for help. Tragedies easily provoke that reaction. Recognition of the power of an imperfect and broken nature is helpful. But it is curious how easily the same folk fail to ask the questions about why officials failed to prepare for such catastrophes. Did God put them in their positions? Was it God’s idea to create such competing and conflicting circles of rights and responsibilities that the city, the state and the federal government could not agree quickly enough who should do what about the flood? Was it God’s plan to have several administrations for years fail to invest sufficiently in protection of the low-lying city against ocean surges and the higher water levels of lake Pontchartrain? Did God plan to have constitutional rights to personal property be used as a tool to resist evacuation orders? Did God create the cultural habits one finds in Nigeria in parts of New Orleans? All that fits only into the Biblical picture of a broken creation made subject to imperfection by the sin of Adam and Eve and the sins of generations of their children after them. This is the human condition, in which neglect of neighbor, shortsighted business interests, crime in the streets and poverty in people’s lives contribute to a reduced capacity to deal with such hardship. Rather than asking what God had to do with catastrophes we should ask for the source of evil. References to available funds for reconstruction, promises of a new New Orleans and appeals to “moving on”, American know-how and management in such situations must not cloud over the need to review our social contract, our moral and financial priorities. Even our class structures, which we thought to have banished with our blind trust in individual responsibility and opportunity for all, have surfaced again and are unacceptable. Peter Steinfels (Beliefs; N.Y. Times, 09/10/05) rightly suggests that man, rather than God, should be called to account. We do well to not avoid self-scrutiny in light of the evident human tragedy, which was neither an act nor the will of God, nor just a passing glitch on an otherwise smooth path. We live in days of homicide bombers with suicide effects. It is no longer an odd occurrence far away in a strange culture. Details of more attacks around the world became part of the evening news about 30 years ago and have been with us in increasing number since then. It raises questions about the cultural and political context in which they take place or are at times encouraged. In our generation we have had suicides to draw attention to political pain in Vietnam. Monks at times burnt themselves to protest against the country’s continuous war. Buddhist monks saw that as a sacrifice in a religious context in which physical life is of little importance, while the pursuit of inner peace and serene detachment was the highest goal. Another culture sees in life a stage to live through in obedience to the continuing cycles of existence. As nature goes through seasons and people are born and die, so all of life is a path to follow in submission to the teachings of the elders and the practices of the community. Birth and death are like markings on the road, there are rites of passage for each of them. Death has as much a place at the table as life, both feed on the habit of people to conceive children. African tribal religions express this well. All is quite normal, and only the impressions made by outsiders in their insistence on life against death will stimulate the petitions for improvements. Under the Hegelian dialectic, that teaches the inevitable march of history through opposites to a synthesis of everything, Marxism in Russia and other places denied any value to the individual or to life except as the participants in the biological and social improvement of mankind. A new humanity would be born through the sacrifices of people. First a sacrifice of their minds, then their soul, then their life’s work and pain, and finally their death. On numerous occasions I was told in Russia that the only purpose of man was to pass on genetic and social information to the next generation along the march towards a new mankind. Even Stalin’s mass murders were seen as a price worthy of the progress achieved through the elimination of enemies of the party. From each his life, for each his place in the advance of idealistic socialism. Done that, then you could die. In Islam as well death is a part of life. Everyone must go through it to receive the rewards for obedience now. Merits from martyrdom are immediate, described in the most luscious terms. Heaven is your goal, rewards there are your purpose. The focus on rewards in the afterlife elsewhere is explained every day now to explain to us such a foreign cultural idea as suicide as martyrdom, the embrace of death as a sign of extreme devotion. Is it not a denial of a basic value of life, here and now, when a religion sets out death as a relief, a passage to rewards, a holy road? Common to these views is ultimately a denial of the value of life. Different ways are designed to offer a way out of it, either through death or through denial and detachment. All this to show how much the Bible differs from such teachings! Here God creates life and grieves over death. Death is not part of the original plan of God. It is the last enemy to be done away with at the return of Christ. God warns about sin, which will result in death. Death is to be avoided at all times, for God created us to live. Eternal life is what we look forward to, unhindered by death and all its nasty antecedents. Recently the feature “Weekly Portion” of the Jerusalem Post expounded the Passover Passage for that week. It is always very interesting and helpful, especially for those who have an estranged relation to the Old Testament or who see in it only a number of prophecies. It is also a book for a society of people, who in their commands are given instructions on how to be human, how to honor God and how to relate to others. In one of these I recently read about those passages that do not allow the rabbi to touch a dead person without becoming unclean. Unclean are also certain animals. A woman is unclean during her period. A sick person is considered unclean, and not only for reasons of failing health. We tend to look at such passages as discriminatory, from past generations and odd cultures. But it deserves closer reflection. In fact the rule that a rabbi must not touch a dead person seeks to show the fundamental affirmation of life in Jewish Biblical thought. It does not imply a magic/mystical fear of death or dirt, but seeks to bring to light the ultimately unacceptable reality of death. It demonstrates that God and his servants have nothing to do with death. Death must not be brought into conjunction with the creator of life. His relation is to life; to him death is an enemy. Likewise the unclean food distinctions alert us at all times to the need to discern between what is good and bad. What more fitting place to locate such a reminder of the need to be alert, to test all things and to keep that which is good (Paul in 1. Thessalonians 5) than where we are confronted with choices each day, i.e. at regular meals! I would add that in the same way our prayer before, in the middle or after meals also brings together the realization of God’s care, his trustworthiness and faithfulness. The meeting of physical needs reminds us of the spiritual reality of being God’s children. In the same line of thought the cleanliness rules about a woman’s period has nothing to do with dirt or rejection, but with the recognition that every unfertilized ovum is a lost chance to bring forth life. In a fallen world that is so, with subsequent problems of course. It should not be construed as a command to have as many children as is biologically possible, or as a regret not to have more. In a fallen world with increased conceptions as a possible problem other factors must figure in. But the focus is on life as God’s interest in creation and in salvation, not on rules, odd practices and hindrances to self-expression. Life is the Biblical focus, one of the central ideas of Judaism, rooted in God creating for his pleasure and glory. When God rested on the Seventh Day from all his labor, it was not to catch his breath or to deal with and overcome fatigue. It was rather a day to be in the midst of his creation and to enjoy it. He was present there and all things and people were present to him then, undisturbed and alive. That insight continues into the marvel of the dead in Christ being alive before the throne now. Our expectation of the resurrection is one step less marvelous than the realization that there will be a generation of the living at the time of Christ’s return. They will not die, but be changed then at once. For this reason I think it is not only unfortunate that in parts of the Christian church, as well as among Jews, life is not valued fully. It is also unfaithful. The influence of other views in the midst of some hard life experiences tempts us to death. Platonic spirituality, Gnosticism and a flawed view of godly spirituality make us forget that the Biblical focus is on life, not on passing along through different stages to a “beyond”. God created us alive without ever having death become a reality. An important part of Biblical spirituality recognizes the power of God’s Spirit from the beginning: He was there over the ‘tohu - wa - bohu’ and gave it shape in the specifics of sequential creative periods. He came down on Pentecost to give power to the disciples to become witnesses to the ends of the earth. He comforts, instructs, enables, makes full eventually, what started as a down payment, a guarantee. He raised Jesus from the dead. He is the ‘other one’ whom Christ sent from the Father, until Christ himself will reign again among the resurrected living. A friend wrote and asked why we haven’t seen any repentance on a national scale in Russia for what they did to each other [not to mention the rest of the world] during the 70 years of Bolshevism? It seems that Germany & Japan took some level of responsibility for their deeds. But Russians on an individual basis don’t talk about their repentance of these deeds, nor does Russia seem to take responsibility on a national level. The question arose from the observation that out of the confusion of voices and places of power after 1989 has come a renewed centralized authority. It forcefully assumes sole responsibility for all sources of information, tolerates no entry of business people into the political class and no open critique of its policies. Those of us traveling and teaching in Russia through those early years and since have often remarked on the difficulty of most Russians we met to admit the horrors of the Bolshevik labor and prison camps, which were mostly extermination camps and part of a system of internal colonialism. Men and women out of favor with the party elite were made to work without pay and often without food until they died. The survivors outside of the camps reaped the benefits of such cheap labor. Greater millions died in this way than were killed in the conquest of fascism. An ideology of state interpreted this as a necessary process of elimination for the advance of humanity. I suggest that there are several reasons why it was and at times continues to be difficult, if not impossible, to admit to these horrors. Any emphasis on a nation’s greatness will bring with it a real possibility of failing to acknowledge mistakes, errors and failures. Nationalism is a prodigal son of Christianity. It left, like the prodigal son in the parable, its origin, or home, in the idea of the ‘people of God’ and became the people of a single nation. You saw yourself no longer as a human being created by God. Instead you belonged to a nation, distinct and far better, greater and more important than other nations. With such a high regard for a nation about itself it is hard to admit that mistakes can be made, certainly not as many or as grievous ones as the others make. As a model nation the others must admire and follow it. The only possibility for a more honest appraisal is to invite or at least tolerate internal critique. It helps to encourage multiple sources of information or to have multiple political and civic institutions. It also helps to operate from the perspective of a less than perfect world. Russia was aided in its supremacist views by the claim that the whole experiment followed scientific rules and could therefore not fall prey to human weakness and failures. It also helped that historical forces involving a necessary series of events leading towards progress guided the dialectic materialism from Hegel on. Progress as an idea of course implies improvement, putting behind past failures and errors. I think Russian Orthodoxy’s ties to nationalism also influenced the ruling mindset. On Russian soil the church had to be orthodox, with all the power, spiritual control and exclusivity this implies. The tie of faith to land rather than universal truth, reason and people shapes God in the image of a culture on a territory. In other words, it is virtually unthinkable that Orthodoxy could be in error here or there. Orthodoxy would always remain unchecked by the life of the universal church or by just plain Scripture. Personally I experienced that when talking to a Bishop of a Northern region. He maintained that Orthodoxy had never erred in its teaching, even when I reminded him that under Metropolitan Nikon the Old Believers were persecuted in large numbers simply because they would not accept the changes that had now been imposed. Finally, perhaps, it is hard for Russia to admit to terrible events in her history because of the dialectical view that all events have their historic justification. By that is meant that each moment of history justifies what takes place in it. There is no absolute morality, nothing at all times right or wrong anywhere. Instead, a moment of history carries with it the justification what people do in that moment of history. Practically you cannot require that something abide by a standard over time. You cannot point out that today’s action contradicts yesterday’s. Each day has a justification for whatever takes place on that day! I brought this out repeatedly while standing near some statue of Lenin in a public square. When asked about it in light of what we know to have been the evil influence of his ideas in the past, I was at all times told that the statue remains, because Lenin is “part of our history”. That was then and now is now! Of course when I then asked that by the same logic Germany should put up statues to Hitler their argument broke down. A lasting morality forbids glory being attached to Hitler. Why then to the Russian fascist? And at no time did a Russian see the inconsistency…or did he dare to acknowledge it to us. Japan is in some way in a similar situation. She also finds it hard to admit failure or damage inflicted on Korea or China in the 20th century. Modern China does not admit human rights violations, because in its perspective it also is a perfect culture and a unique nation that simply has other practices. Similarly Islamic countries have a difficult time to repent of errors, since in their own eyes all their practices are an expression of the will of Allah. There is no margin of error, where there is no realization of the fall of man and human imperfection. Any culture that does not deal with or address and embrace ‘universal’ universals, but only local, racial or religious ones has not yet discovered that we are all living, to remain in the parable of the Prodigal Son, among swine and yet need to return to the Father’s family. A Biblical memory will invite a more critical perspective, always examining any claim to morality in and by the public square. And while an open society can also be made up of only swine, the normal human competitiveness will also urge people to surpass others and try to do better. That is why a democracy is not a cure-all, but it certainly has the potential of self-discipline and improvements, if for no other reasons than sheer human competitiveness. And democracy derives from the willingness to argue with God and nature in order to understand what is good. Tony Blair, England’s Prime Minister, speaks of Labor being a party of change. Every year at the party’s congress in Brighton he admonishes his delegates that again the government cannot rest on what it has done in the past year. As problems are discovered and demands arise the government has to adjust to deal with the situations at hand. It is not enough to sing in favor of an old ideology. Governance, like much of life, is under changing demands and needs to adjust its responses. In a similar fashion the life of the church changes from age to age. Hymns, liturgies, standing, sitting or kneeling at what times are subject to change. Similar is also the set of criteria that remain the same. In government it is the obligation to seek and administer justice. In church it is the knowledge of God, the expounding of his text, the glorious response of a thankful people. The idea of good government is driven by a complex vision, yet its execution requires daily adaptation. For some reason, perhaps that of libertarian individualism concerning God, faith and practice, the church now often invites or at least allows space not only for adaptation, but for invention. That is a pity in my view. Let me explain. George Barna heads an organization that studies religious trends and finds out what people believe about themselves, about God and church, for example. It is always interesting, but at the same time often quite troubling. For he does have a knack for discovering what often is really quite a sad state of affairs in much of what goes with the designation or label ‘church’. I have been struck recently by Barna’s findings that so many people believe they know a lot about God and his love for them, but are largely ignorant of the Bible. A majority of your neighbors believe in God, in absolutes, in an inspired word of God. It is just in the details that there is a worm and the rot. For “what God” or ”why these absolutes?” must for Christians have something to do with both Scripture and creation, and in both cases with factual reason. What happens when you are ignorant of what the Bible says about God, creation, Man and morals? What use is a belief in an inerrant scripture, if I do not know it, discuss it and argue with it? What God is there beyond anyone just believing in their own god or even only in the word ‘god’? It is all more tragic than surprising. There is perhaps a parallel here to the consumer who is attracted to a new gadget, but has no clue what he would do with it or how to use it. Or the person who books a vacation in some exotic place, because he longs for the beach after seeing a picture of one, only to discover that it was a montage, a generic beach or one 20 miles away from where he has a booking. Of course in those situations an enlightened judicial system will allow cancellations rewards damages. But when it comes to religion, faith and mystery there is usually no way to compare the offered thing with what should be, with what is true and how it compares to other offerings. The pursuit of spirituality is often without criteria. It is blind. Exposed to the demands of rationality, science and calculations a lot of people look for ‘the beyond’ those daily requirements to something more intimate, private, mystical and surprising. Maybe I should even call it a form of “greed for the spiritual and the divine” with little effort to even think about working out “one’s salvation with fear and trembling” in the practical history of our daily lives. We are surrounded by a growing interest in spiritual things, spiritual experiences, spiritual alternatives and additions to or escapes from modern life. By modern life is meant the emphasis on facts and reason, on health and security, on questions and answers. It deals with understanding, critical evaluation and approval or rejection. Many people reject the modern and would like to transcend, to go beyond it. They question our heritage from Scriptural realism. They desire a more immediate experience, but also one that is more sensual. They want to be post-conservative, post-liberal, post-evangelical and post-Protestant. In a recent PBS interview one participant stated her view this way: “There's a sort of comfort in knowing that I don't have to have the answers, and that there aren't necessarily answers”. This is a move away from knowledge to feeling, from form to something more casual, with a big emphasis on the experiential, multi-sensory participation, where people tangibly express their spirituality. Many are weaving together elements from different religious traditions, especially Catholicism and Eastern Orthodoxy. Some are discovering medieval mystical practices such as walking the labyrinth, but adding decidedly modern twists. It's a pick-your-own-mix approach, in which it is more important to feel oneself in the midst of representing a beautiful expression of life with God than it is to be right about everything. Evidently this view believes that one can afford to be less certain of theological insights. The appeal is to a generation given to dialogue, to discussion and to conversation, and not making firm judgments. Movement is the thing, a journey the purpose. “Where that's going to go, we don't know. We're figuring this out together. We don't have an agenda of what it looks like at the end of the road. We just want to gather up people who are on this road, who want to go together on it”. Church then is the work in process, rather than each life being changed. Improvisation is practiced rather than spiritual discipline. The whole thing is emerging, from which the term ‘emergent’ church has come. In other words, rather than God having a character, to which it is my desire to conform from love to God, the journey is a series of changes without any certainty of the goal or the knowledge of the result. Faith is then a series of experiences along the path, a passage of life more than an acknowledgment of what is true, good and just. One person suggested that the Bible should be discovered as a human product rather than of divine origin. It contains mystery to be embraced rather than to be unveiled. There is an attractive proposition in all this: The life of the church in its ministry must open up a life of faith rather than merely the repetition of chosen theological positions. Yet without the building blocks of the early church the whole thing is an invitation to ambivalence, to personal tastes and changing preferences. Our open societies, the free market of goods and services and our democratic pluralism all conspire against anything being defined, including God or Man. The Church at the time immediately after Pentecost was built on the foundation of the teaching of the apostles, the celebration of the Lord’s communion, on fellowship and prayer. There are at least two ways to destroy that structure. The past way was to shift away from the solid teaching of the apostles. Humanism, Liberalism and quite often denominationalism all have tried and done that effectively by questioning the one truth delivered to us in God’s written and living word. The current tendency is to question less the text than the possibility of a theology. Much more importance is placed on the individual and his sensual needs as the locus of God’s work. This is a central shift in epistemology. God, formerly in heaven and on earth, now resides in the individual’s consciousness. Don Carson points to the subtitle Moving from Absolute to Authentic in Stories of Emergence, edited by Mike Yaconelli. Implied is that God’s word does not mean what it seems to mean, but what it means to me as one affected by my needs, culture and community. No longer does the Holy Spirit lead me into all truth, but the truth I find in the relationships of a church experience is assumed to be spiritual, without any consideration of whether it is true or right. Just like the labor party we should face a reality of changing demands, new inventions and the inevitable boredom that comes from mere repetitions. 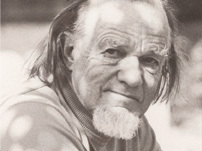 Francis Schaeffer reminded us always of the fact that the Holy Spirit is not old-fashioned. Os Guinness preached to a group he asked to sit in the round, so that we would not all look merely at the neck of the person in front of us. I asked people to say why they chose a particular hymn for us to sing. “.. because I like it” never sufficed as an answer. There should be some expression of delight in the grace of God and the enjoyment of his people. We are sensual beings, and a mix of words, visual arts, silence, testimony, music and exposition should mark a gathering of people. That content and emotion are confused when the preacher is merely a facilitator and to that end perhaps tells a story that is not part of God’s history. I would suggest the same need for discernment in matters such as speaking in tongues in public without interpretation. It is unscriptural and should not be crowned with an Amen, since you would not know what it concurred with. We live in a dangerous and unfriendly world, in which at all times criteria of truth and correspondence need to be brought to bear on events and experiences. Questions need to be raised and answers sought when you see how much contemporary culture, also in the church, has been affected by the idea of change as the only continuity and fragmentation as the stimulating experience for a richer life. Will the marriage of the church, with its desire for authenticity, to the culture with its libertarian tendencies not inevitably lead to a divorce on grounds of incompatibility. The church will have turned her back on her true lover and the culture will be out of range of anything resembling truth and reason.